Skype, the most popular video calling platform, recently launched a new preview feature at Skype.com that makes the tiresome task of switching between the interviewer’s call and the code editor more easy and allows to comfortably conduct coding and technical interviews. The new preview feature will allow the user to host a video call on top of a code editor that runs in the Microsoft Edge or Chrome browser (version 32 or above). This means that the users need not download any applications and can access Skype.com on their browsers. Currently, the new interview feature only works for browsers whose default language is set to English. Whether this feature will be introduced on the redesigned desktop version of the application in the future is not yet known. 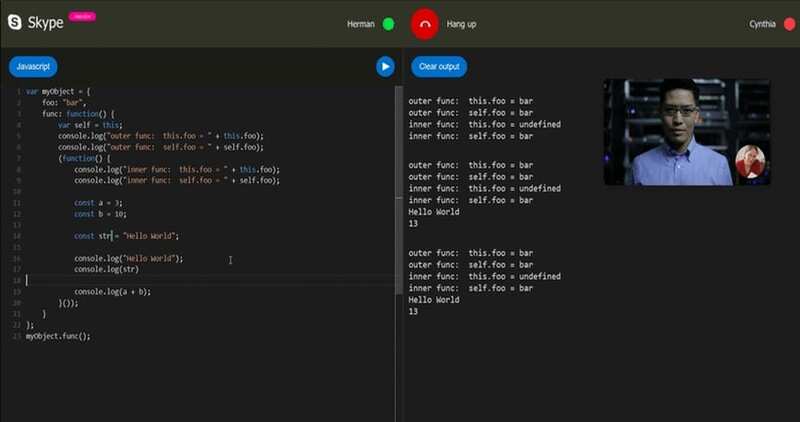 For those interested in trying out the new platform, can go over to Skype’s interviews website and click on “Start Interview,” then invite someone to the call and begin the interview – all with a real-time code editor.